The directed transfer of genes and DNA through genetic engineering from one organism to another has been accomplished in viruses, bacteria, fungi, plants, animals and insects. Genetic engineering has made significant contributions in the medical and public health fields, including through production of a vast array of drugs including the Hepatitis-B and Garadsil vaccines, a cancer killing virus, and most recently through life saving gene therapy. Now, there is the potential for transgenic insects to also be used in protecting public health through reduction in disease transmission. 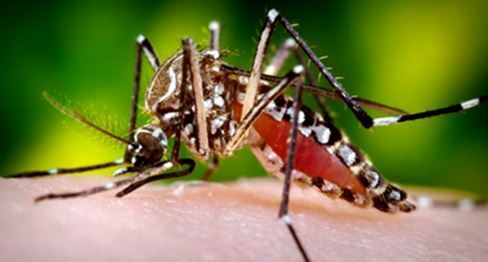 The British company Oxitec has developed genetically engineered (GE) mosquitoes with the ability to wipe out other mosquitoes carrying the viral disease responsible for dengue fever (which are now a significant threat on the Big Island of Hawaii). Oxitec’s male GE mosquitoes have a self-limiting gene ensuring the death before full development of offspring produced from mating with local female mosquitoes carrying the dengue viruses. With repeated release of very large numbers of these GE males, they out compete the local males for mating with females, resulting in doomed offspring and a resulting crash of the targeted area’s population. Field releases in the Cayman Islands, Panama, Brazil and Malaysia have shown promising results. Sustained releases of the transgenic male mosquito led to 80% suppression of the wild population in the Cayman Islands in 2010, and achieved 95% suppression in a suburb of Juazeiro, Bahia, Brazil. In an uninhabited forest area of Malaysia, the transgenic males showed similar field longevity as non transgenic counterparts, but showed less dispersal distance. In a residential suburb of Panama City, regular release of the male GE mosquitoes resulted in 90% suppression of the local population of mosquitoes after six months, according to Oxitec. Sterile insect technique using radiation induced male sterility has been around for over 50 years, used in control programs for fruit flies, moths, tsetse and screwworm flies. Radiation can induce multiple genetic modifications including effects on fitness, and genetic engineering advances this field by bringing more precision. The potential applications of other GE insects within the next decade to help combat diseases such as malaria, dengue and chikungunya virus will require environmental risk assessment, already being formulated in the European Union and the USA. No doubt the risk and benefit evaluations and interpretations will be vigorous, and hopefully will be guided by evidence. The use of GE insects for applications in public health is only in the early stages of field testing. Yet its development even this far likely signals another milestone in the gene revolution that has blossomed and methodically accrued benefits for civilization since the discovery of the structure of DNA in 1953. Agricultural applications are also being considered and will likely arrive for field testing in the not too distant future.